Hapiness Charge Precure. . Wallpaper and background images in the pretty cure club tagged: photo pretty cure precure hapiness charge precure lovely princess honey. 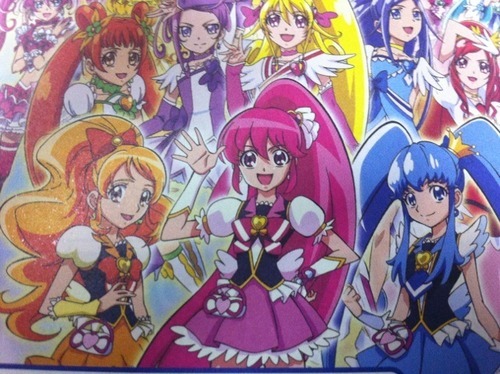 This pretty cure photo contains 动漫, 漫画书, 漫画, 卡通, and 漫画卡通. There might also be 彩色玻璃窗 and 彩色玻璃窗口.